This 10.1-inch Windows convertible uses the Intel Atom x5-Z8350 "Cherry Trail" processor, next to 4 GB RAM and 128 GB SSD storage, its price starting at 399 USD. The new Asus Transformer Mini T102HA was unveiled back in late May, at Computex. Now, this 10.1-inch Windows convertible tablet is finally up for pre-order, and it should hit the retail stores in the coming weeks. 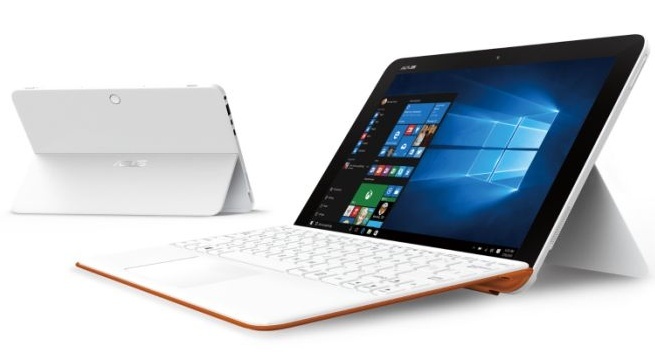 This new device is similar to the Transformer Book T101HA but comes with more powerful specs and a few additional features. Made using a magnesium-aluminum alloy, the new T102 HA is very light compared to the T101HA - no less than 0.64 pounds lighter, weighing 1.74 pounds. The Asus Transformer Mini is powered by the Intel Atom x5-Z8350 processor, has 4 GB RAM, 128 GB SSD storage, as well as microSD support for up to 128 GB more. The connectivity features include the usual WiFi, Bluetooth, a full-size USB 3.0 port, micro USB, micro HDMI, as well as a 3.5 mm audio jack. Asus Transformer Mini T102HA offers up to 11 hours of autonomy and is starts at $399 USD. Pre-orders can be placed with Amazon and B&H, as well as a few other retailers.